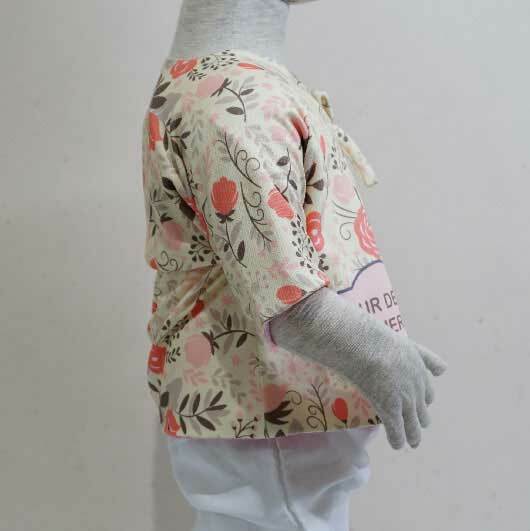 Japan culture is really influencial. 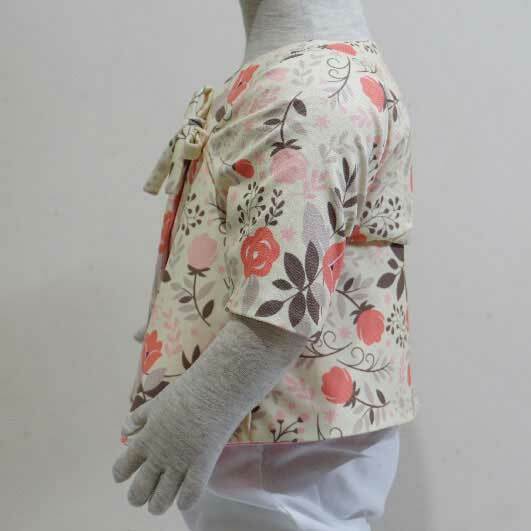 This culture wave not only affects the adults but also our children, even at the baby ages just like our baby kimono item that we proudly present for your beloved baby. 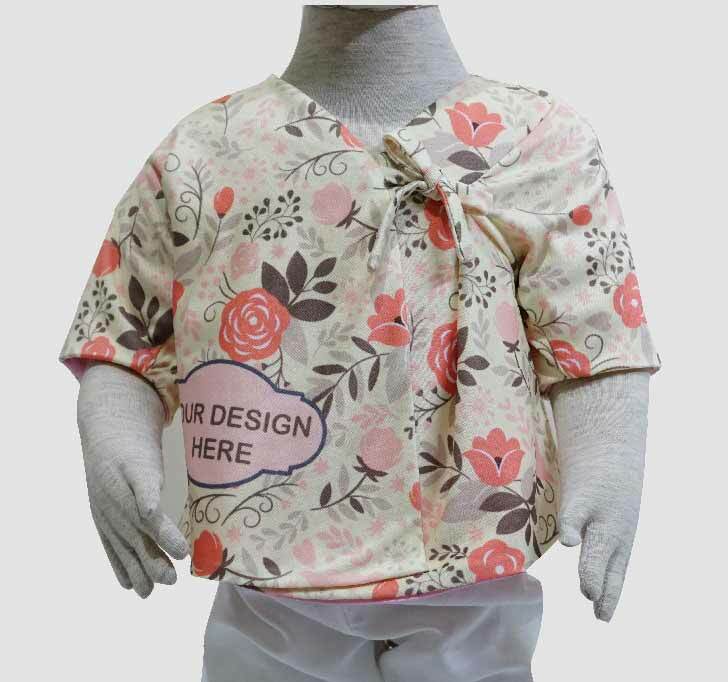 Adults have been all get used to with the inspired outer kimono, the baby version is kind of new thing but we try to give our best. 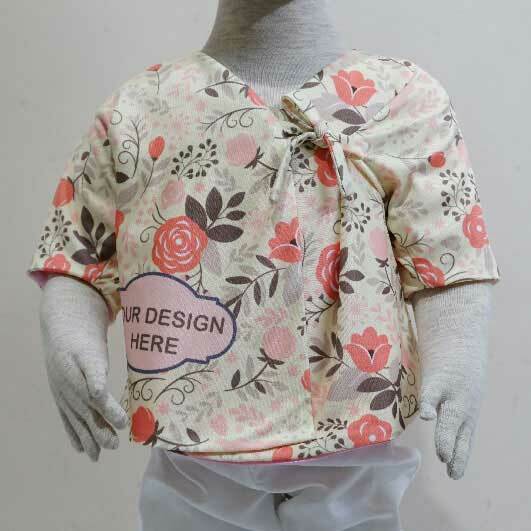 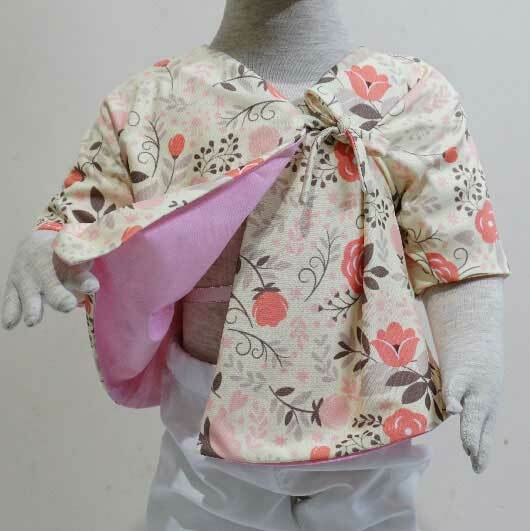 This inspired Japan baby kimono shirt will be such a unique outfit for your baby to wear. 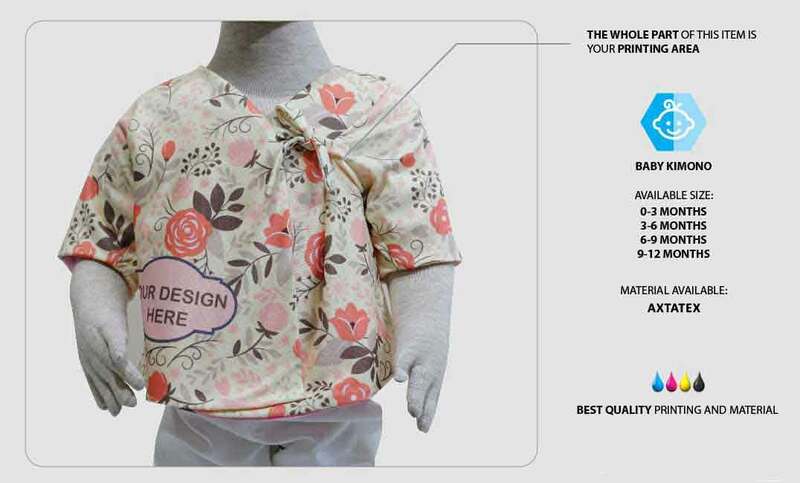 There must be much sold out there but ours is advanced with the best material and the fully customizable feature it has. 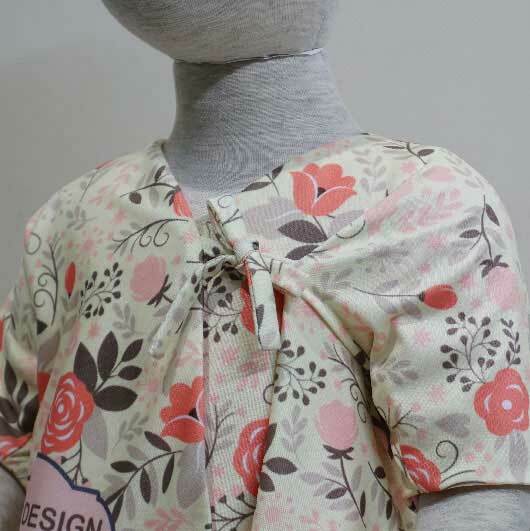 Yes, you may print your own custom design creation on the whole part of this kimono. 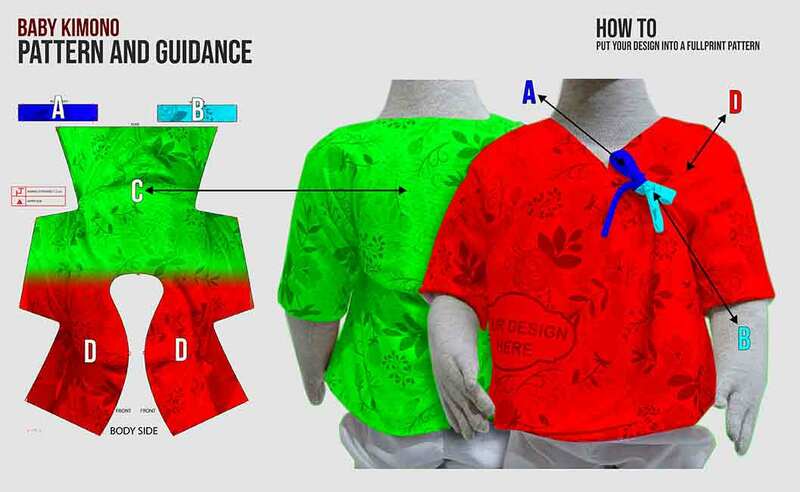 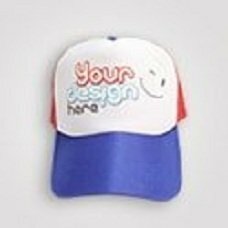 Any designs such as pictures, characters, beautiful patterns, and texts are suitable to be printed on it. 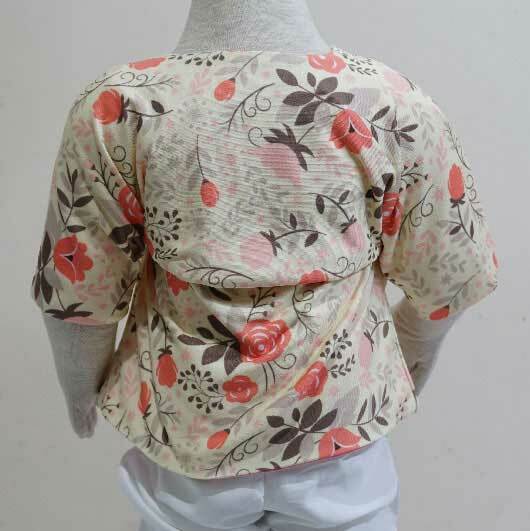 It means there will be no baby kimono that has the same design as yours.